Use of the Mission Gables kitchen may be added to any rental for a flat fee of $100.00. This kitchen is complete with three sinks, double oven, multi burner stove top complete with a double griddle. 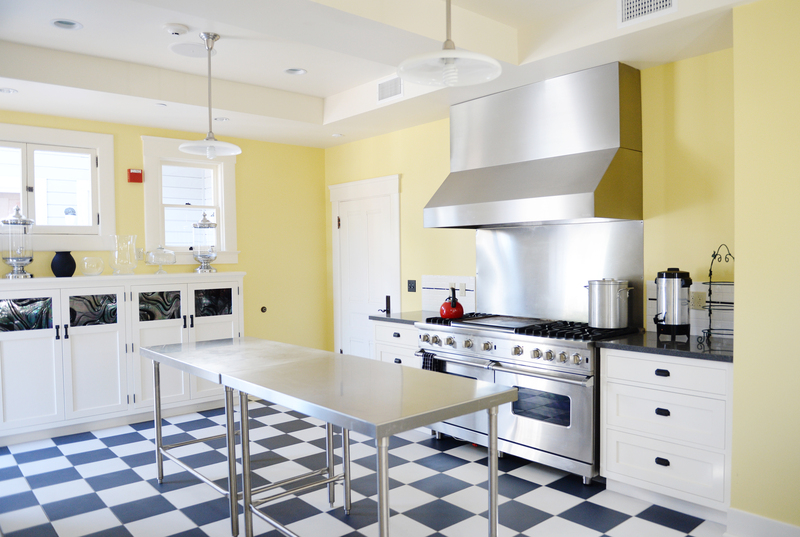 This kitchen was designed to fit any caterer’s needs.